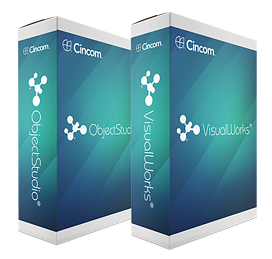 Home » Our News » Cincom® ObjectStudio® 8.9.2 and Cincom® VisualWorks® 8.3.2 Are Here! Cincom is the leading provider of commercial Smalltalk in the world. Cincom Smalltalk adds value and simplicity to application development software, web application development tools and deployment environments. ObjectStudio is an ideal solution for developing custom applications for Windows® while VisualWorks is the ideal solution for enterprise-level, multilingual, cross-platform, custom application development.